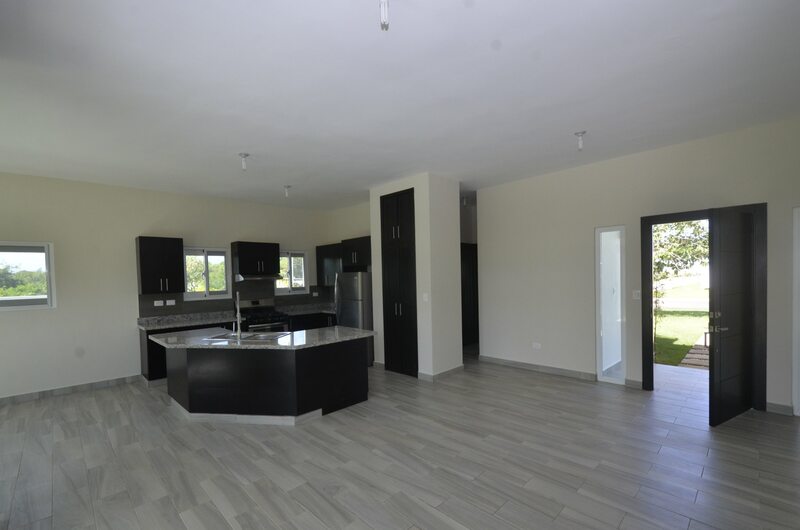 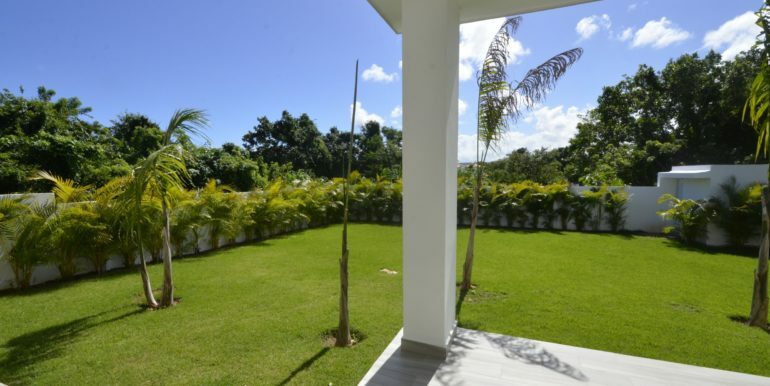 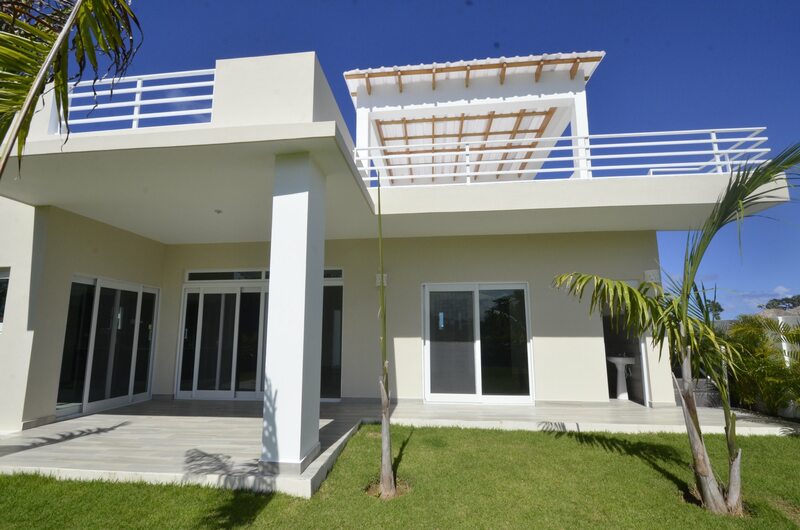 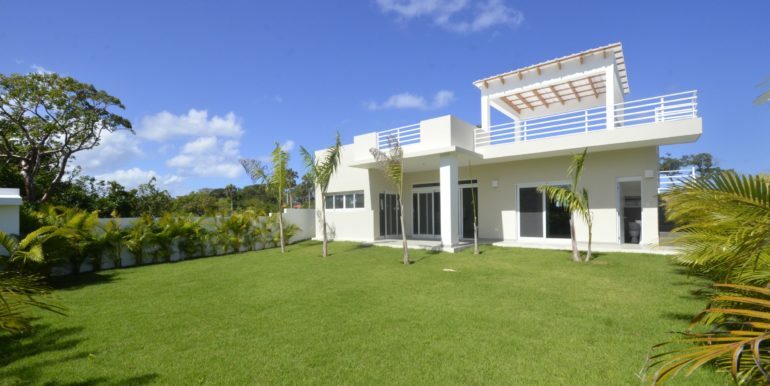 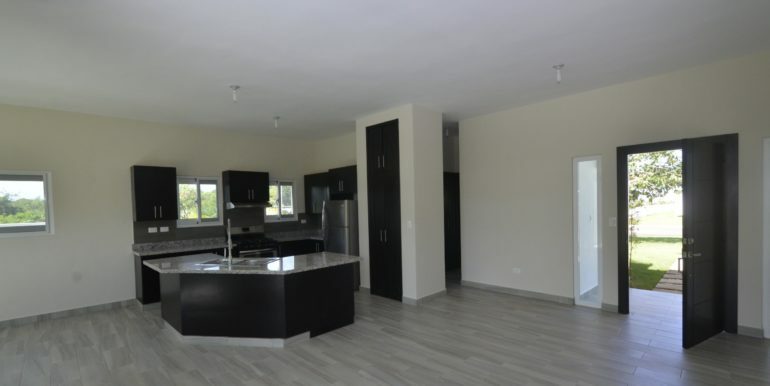 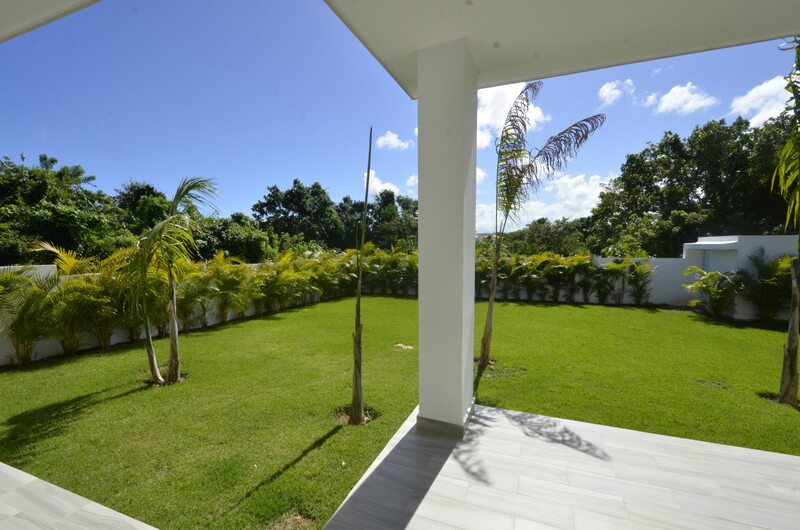 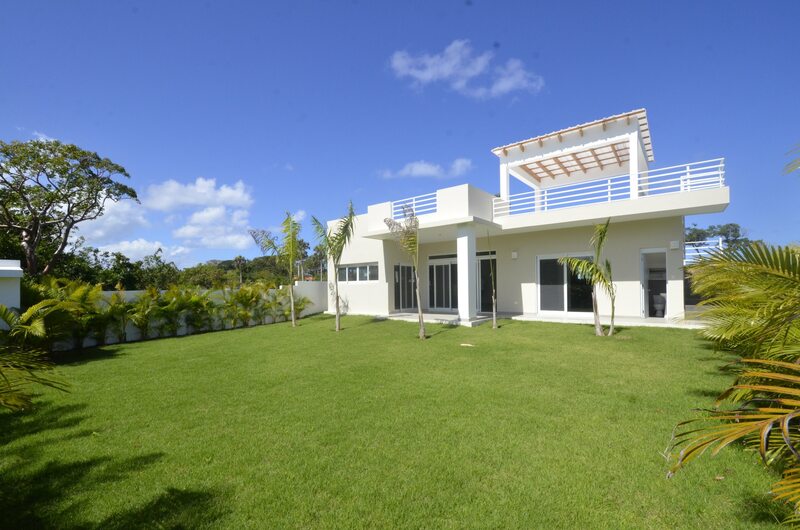 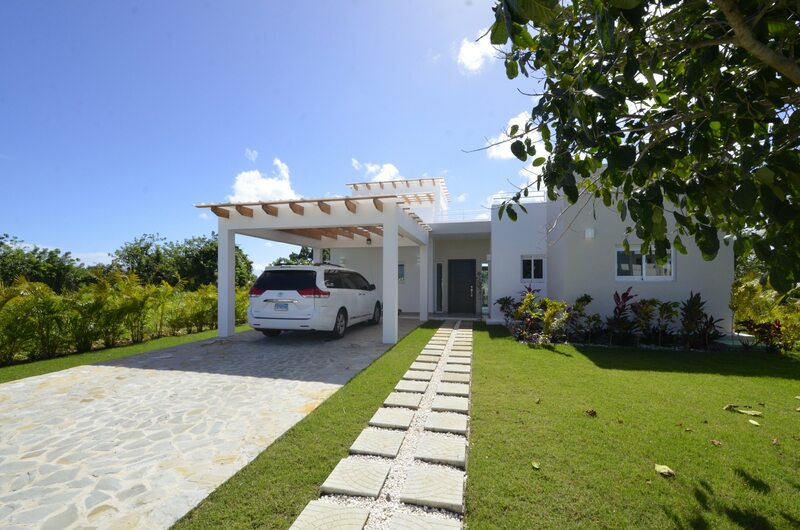 This beautiful villa for sale in Sosua has 2 bedrooms, 2 1/2 bathrooms and exquisite distribution in its design. 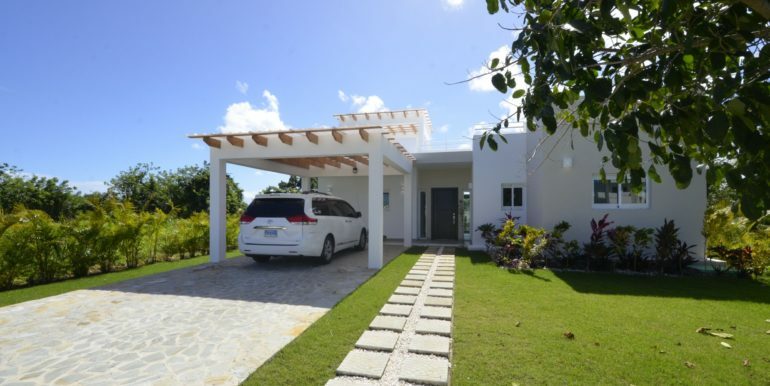 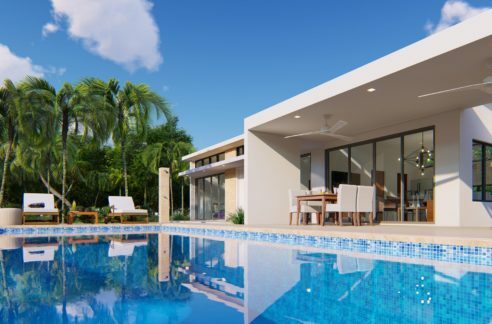 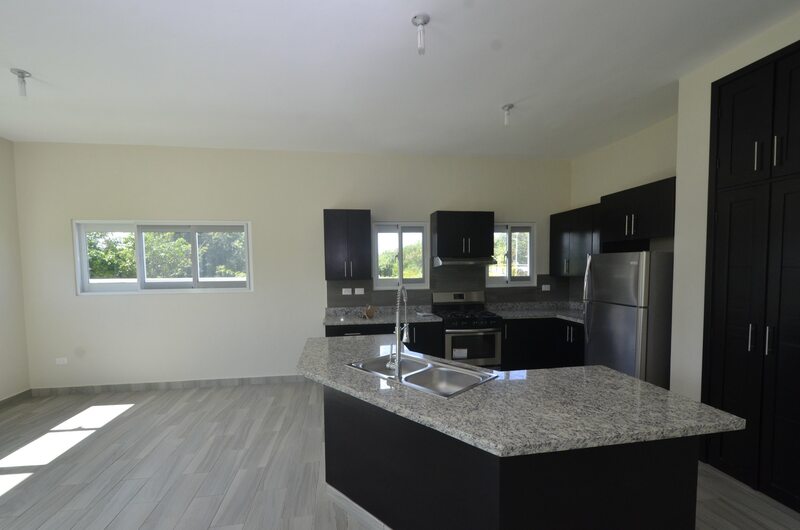 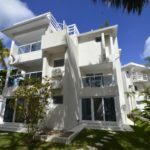 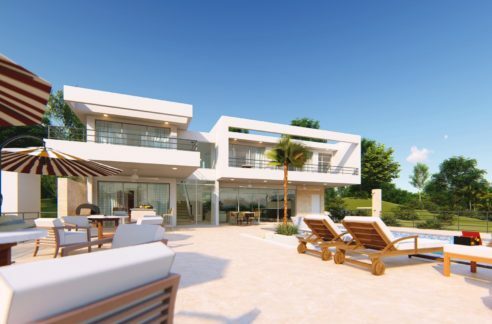 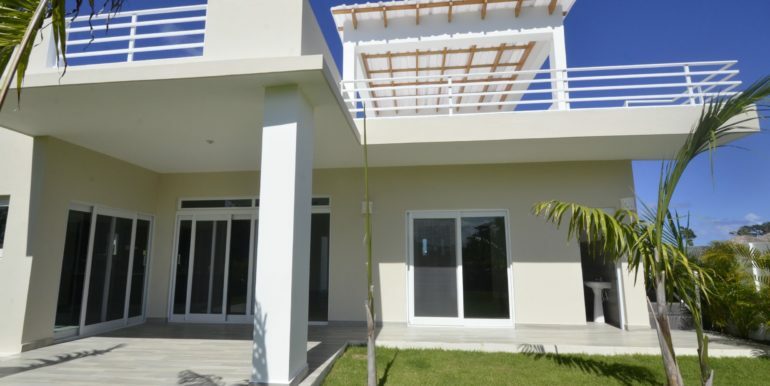 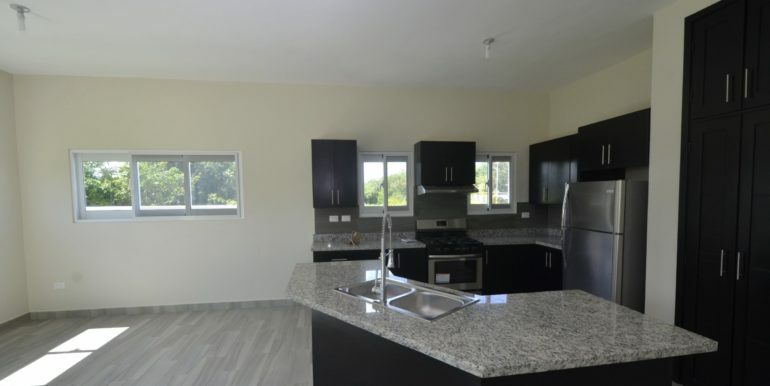 Built to take in the best ocean vistas of its 2nd line, unobstructed ocean lot, it favors those searching for a retirement or vacation home in the Dominican Republic. 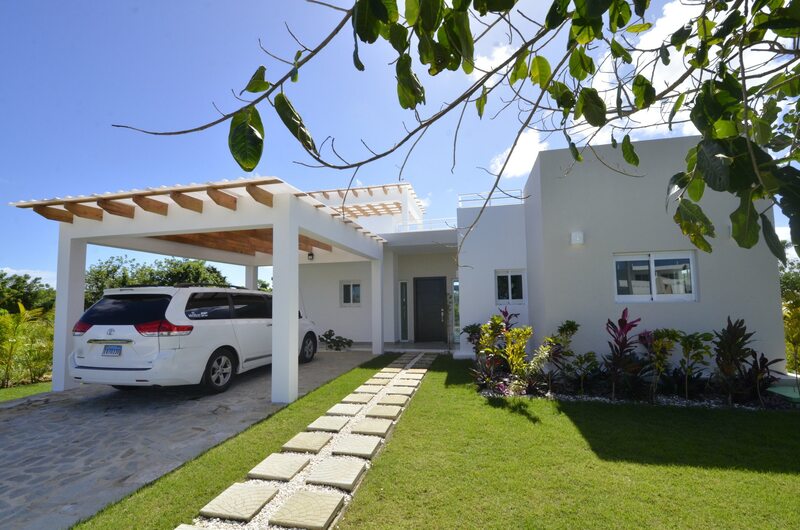 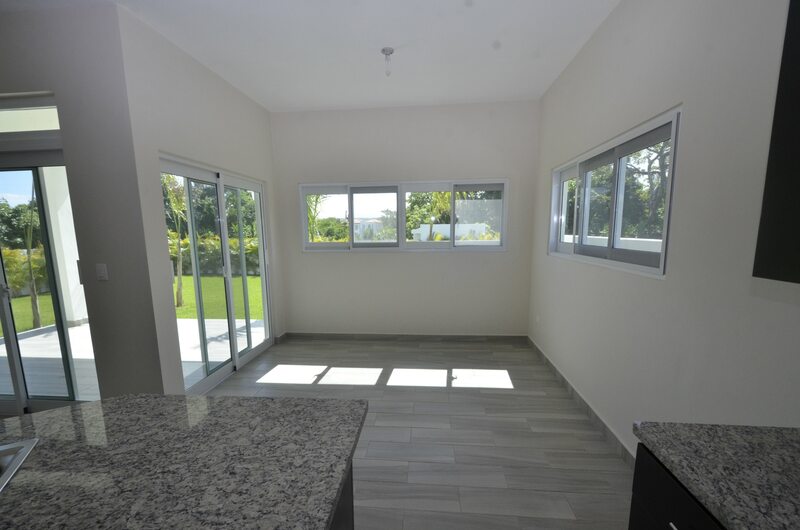 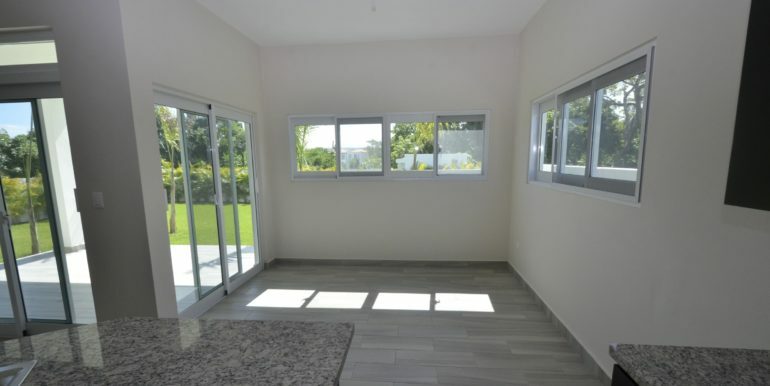 The facade is a clean design, with a solid concrete pergola as the carport, a flagstone driveway and green area; inside, the living spaces are totally open design, ample living room with custom design kitchen in one corner and dining area right after the kitchen, perfect for entertaining. 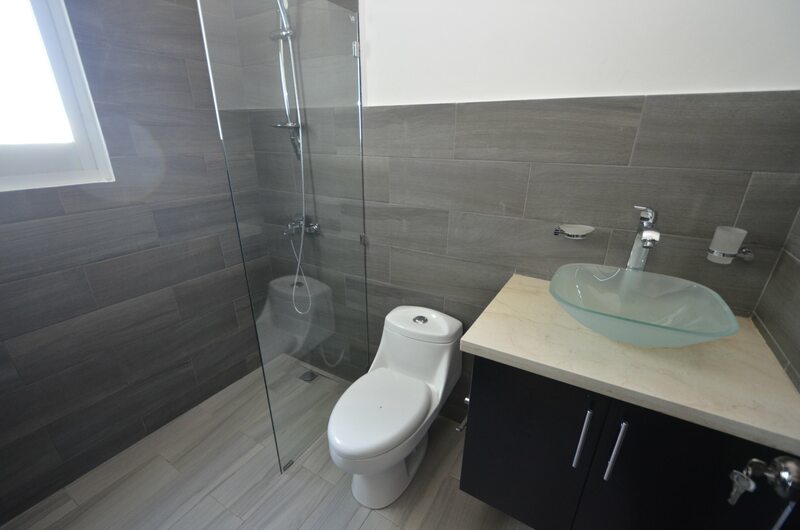 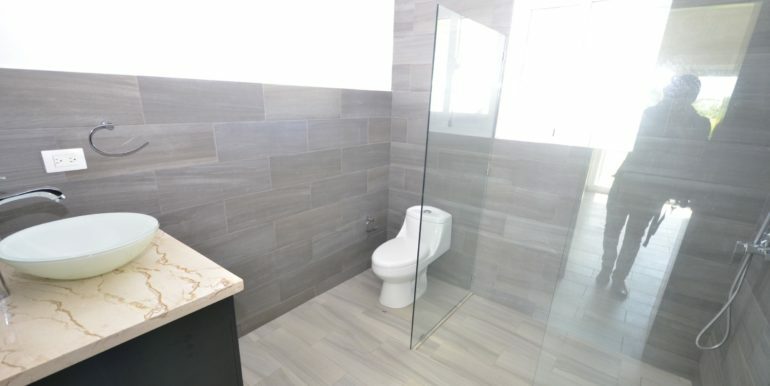 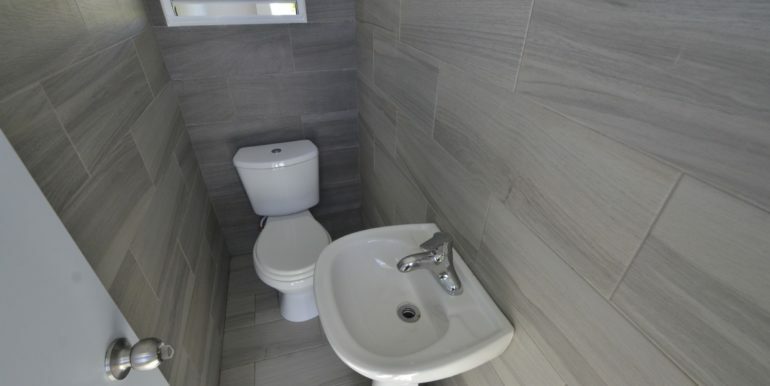 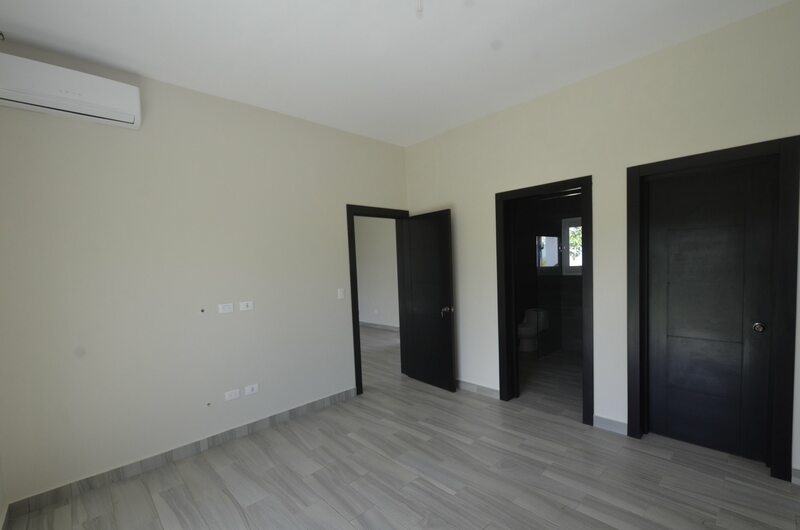 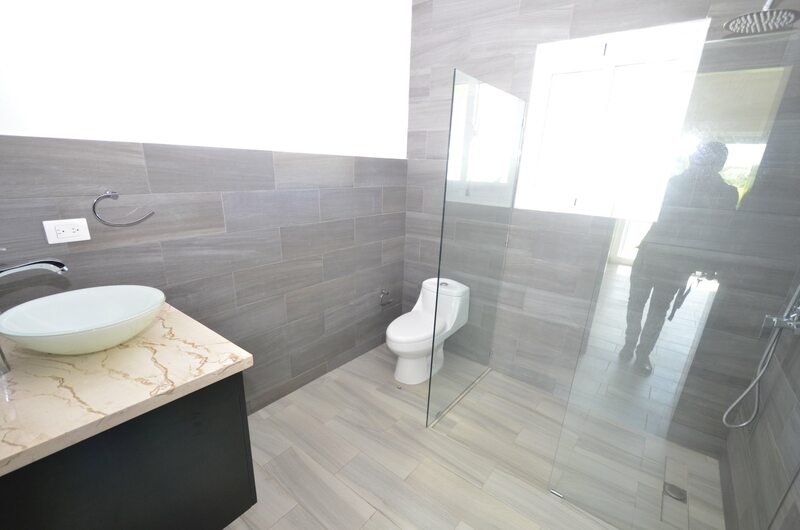 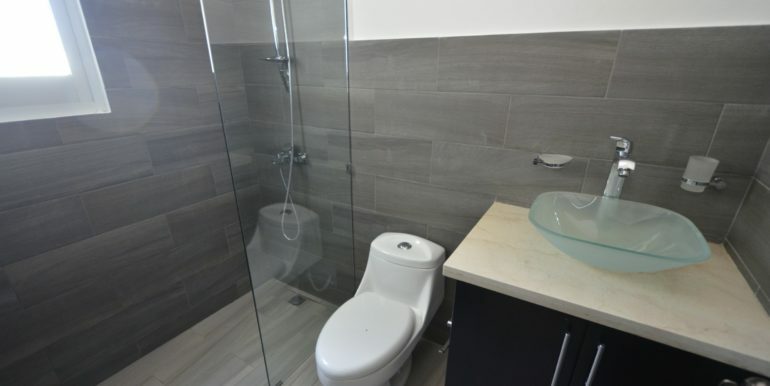 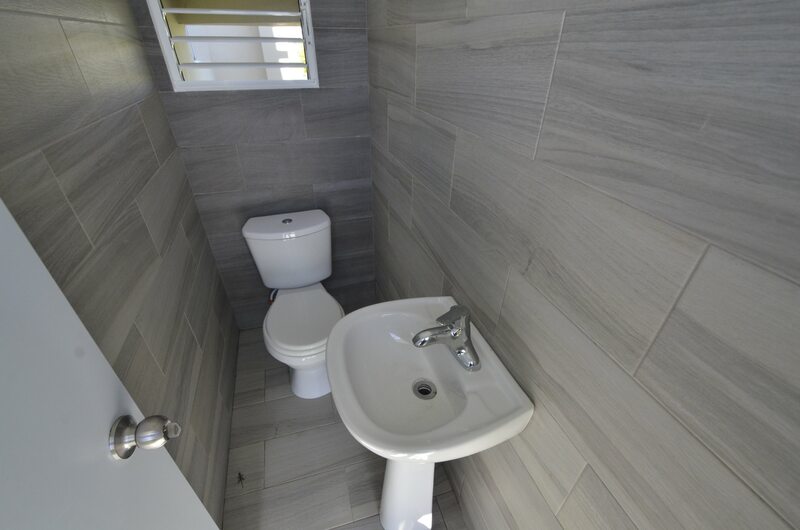 Each one of the bedrooms has its own private bathroom, and the villa includes a small visitors bathroom with WC and sink. 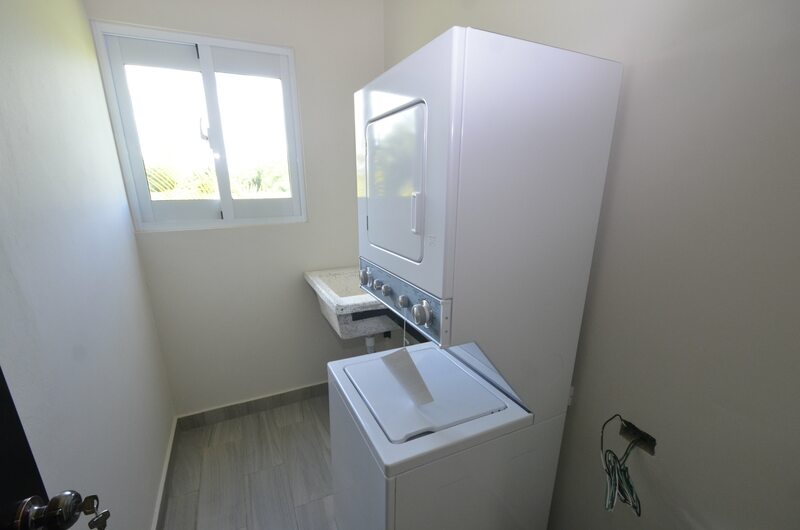 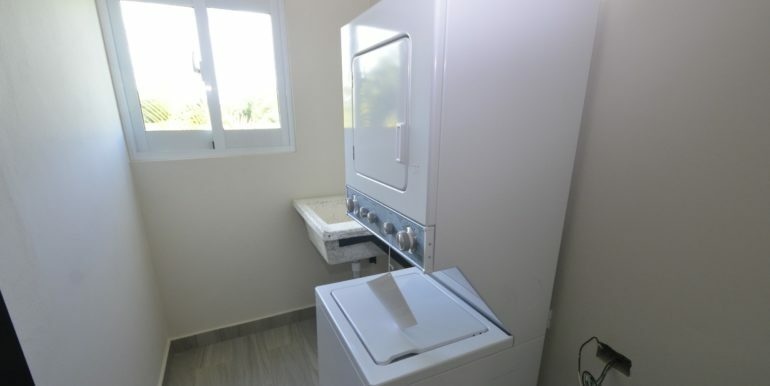 Past the kitchen, there`s a laundry room with stacked washer and dryer. 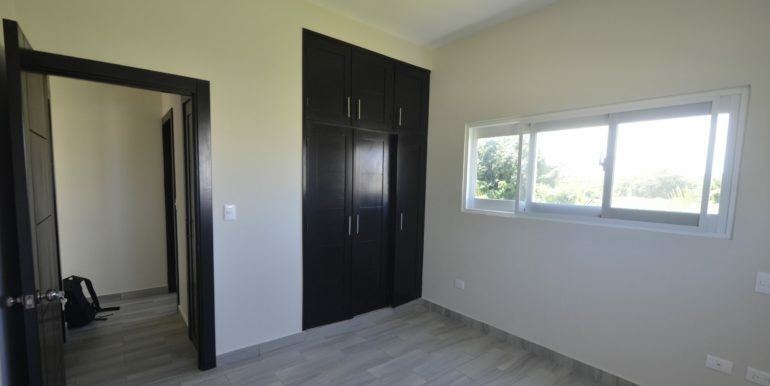 A/C units are installed in the bedrooms and living room. 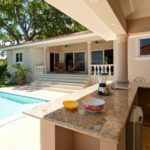 An important aspect of the villa is the backyard, which provides enough space to built a swimming pool ( about $10k ) or an outdoor kitchen. 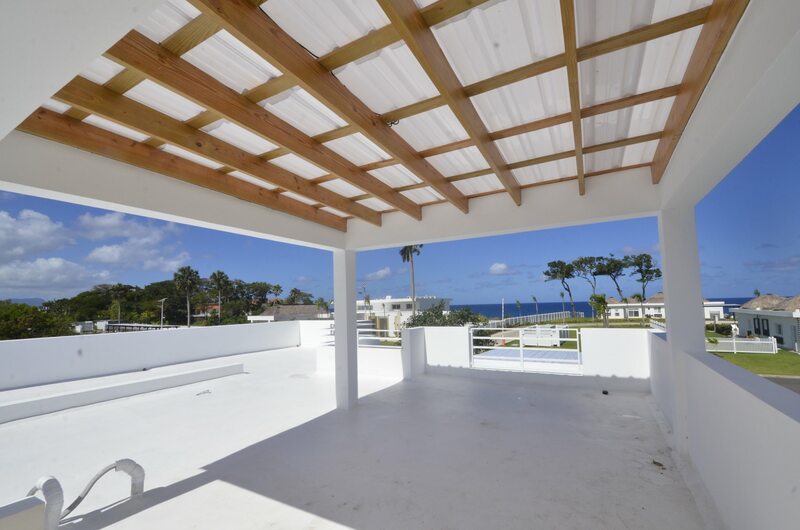 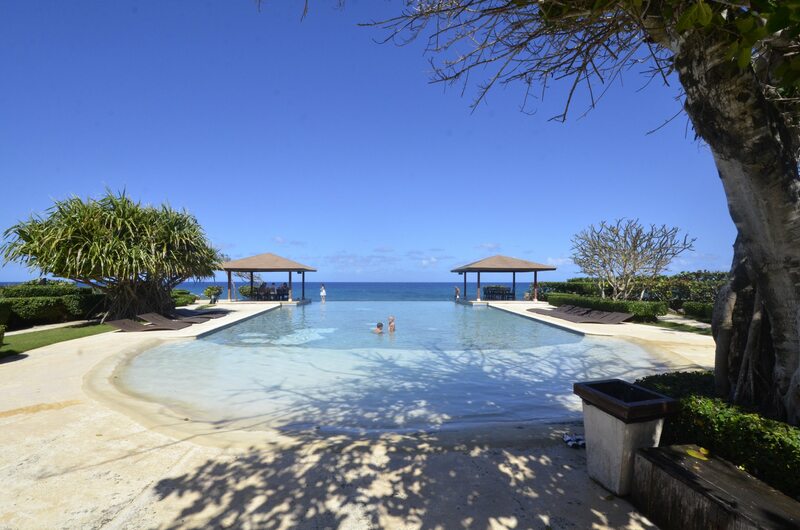 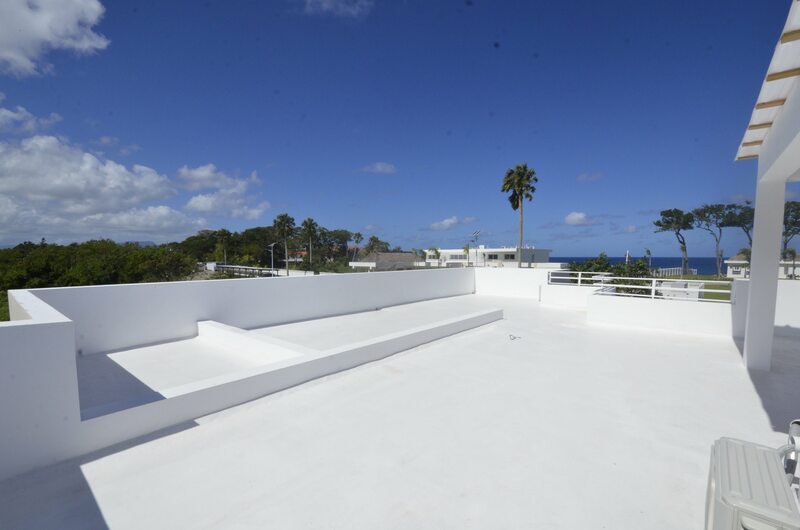 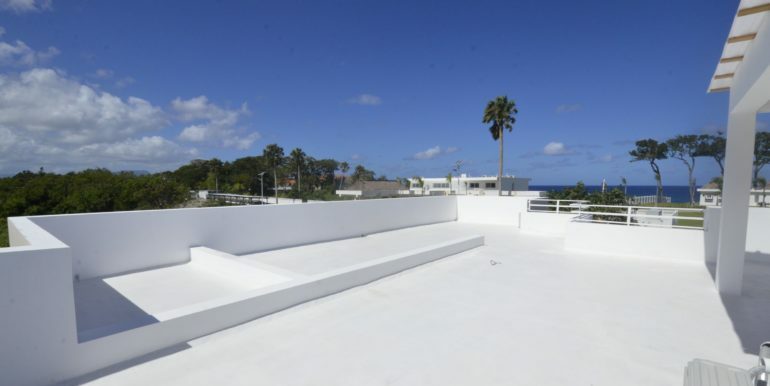 A huge bonus is the second level terrace, wide open with pergola and refreshing vistas of the Atlantic. 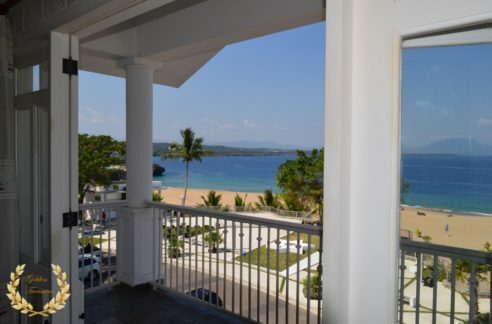 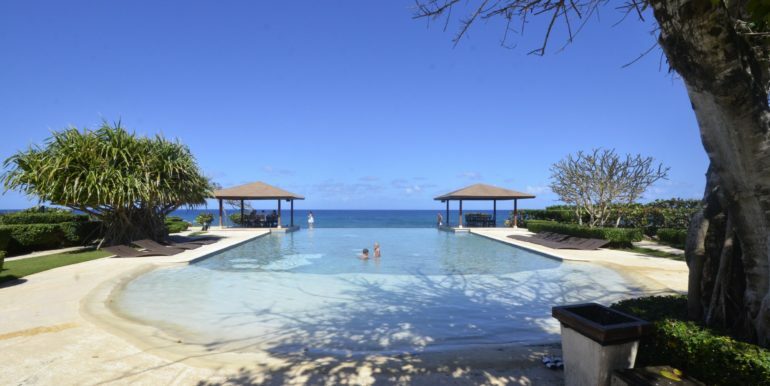 A short walk away there`s access to several beaches. 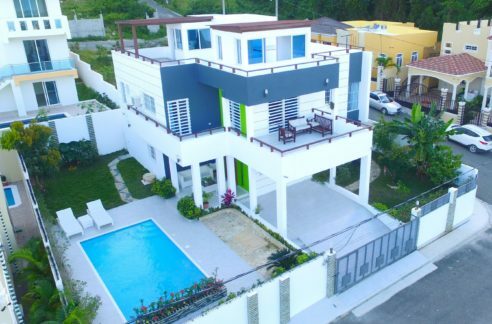 The community itself has its perks, and among those there`s a water park, restaurants, beauty spa, children`s park, professional gym, tennis center, basketball courts, top grade security and low HOA fee. 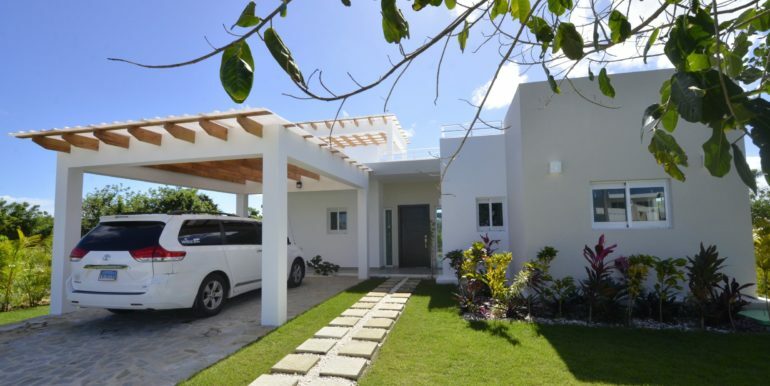 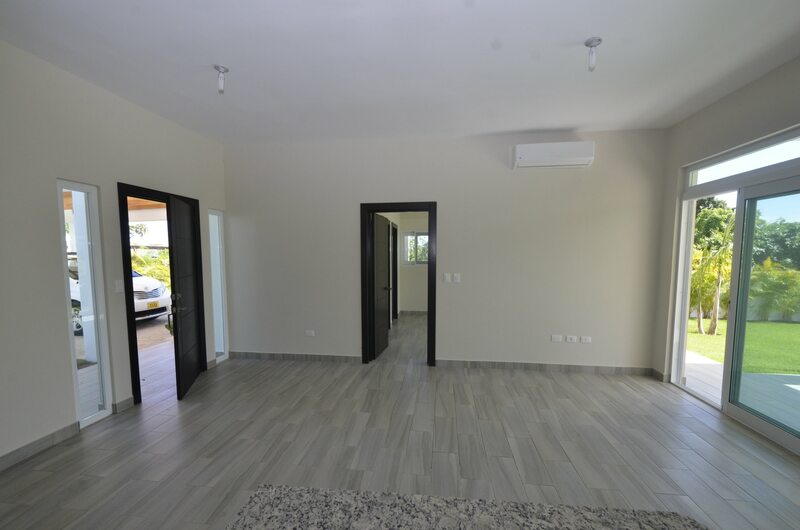 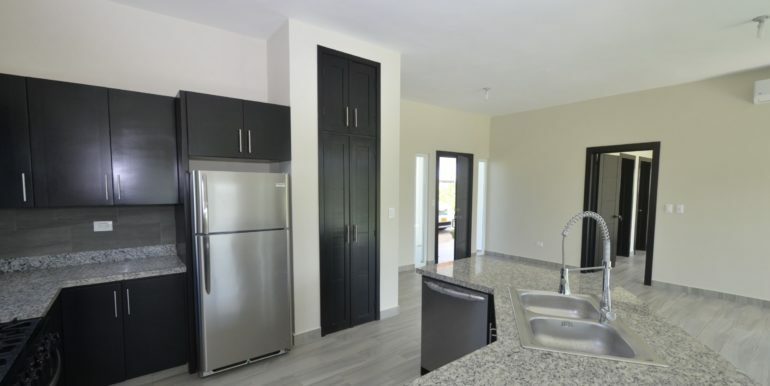 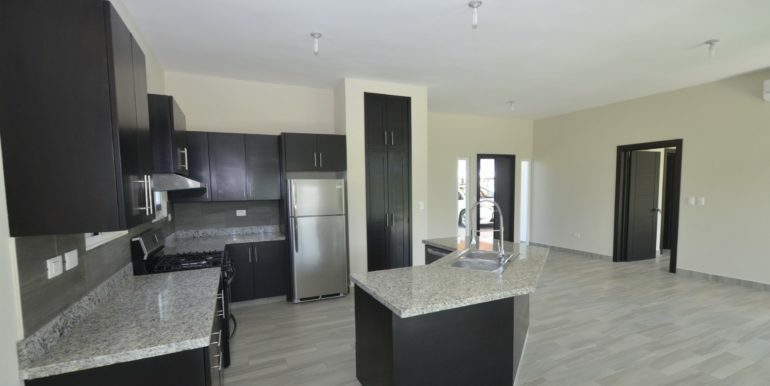 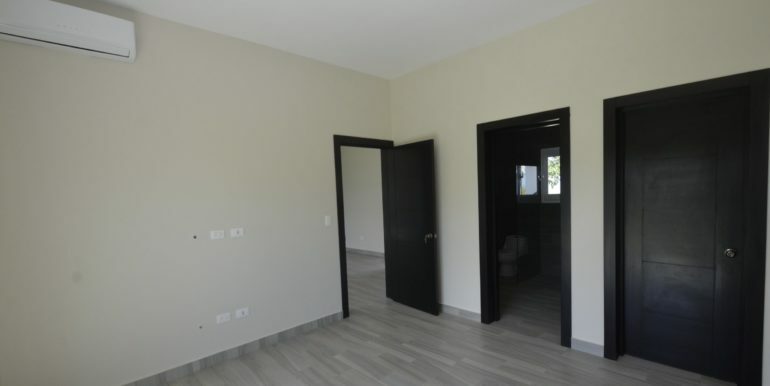 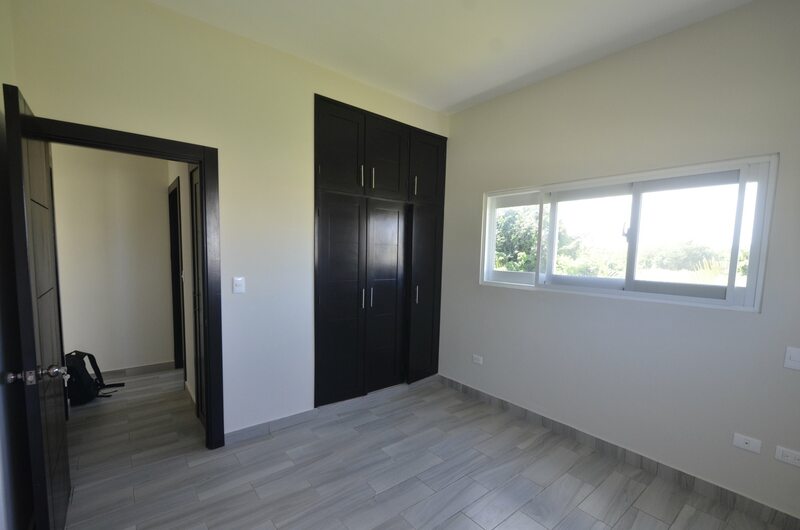 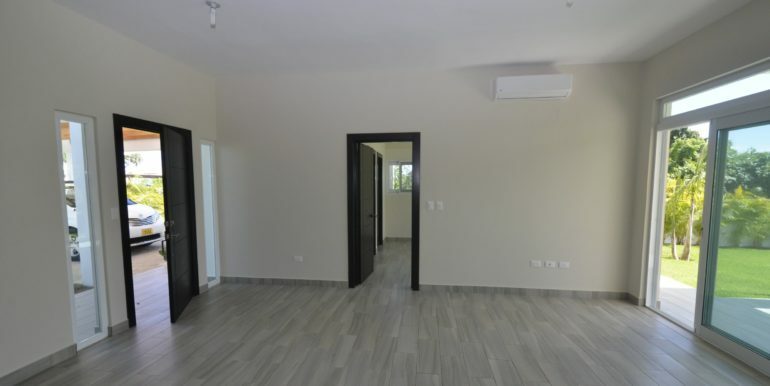 The center of town in Sosua, its schools, shopping centers and entertainment areas can be reached in less than a 5 minute drive, same for Cabarete. 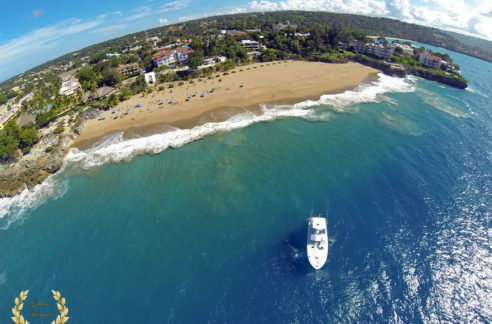 The closest airport is POP, about a 14 minute drive. 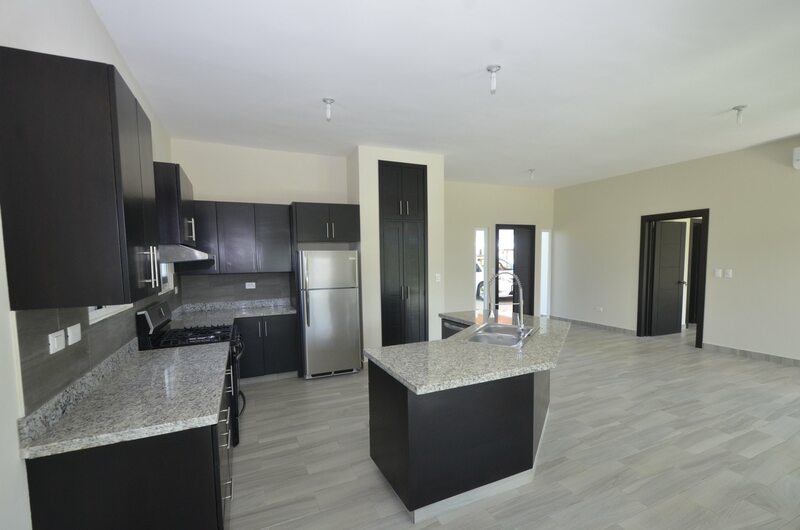 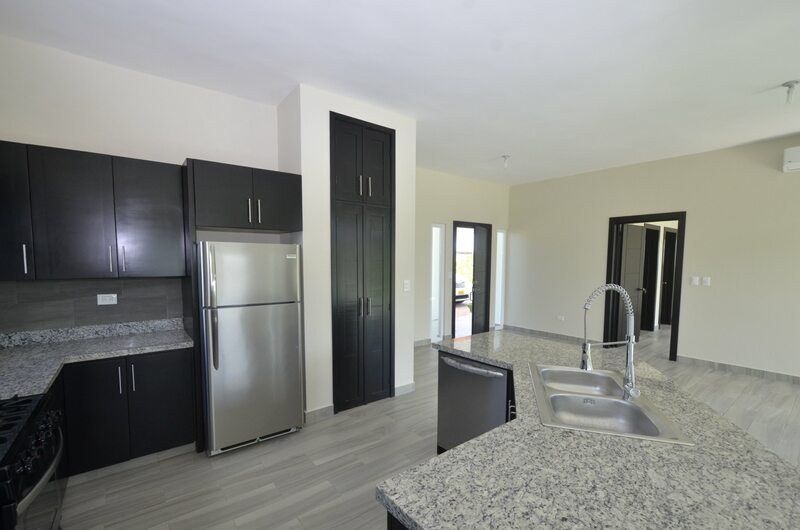 This unit is sold, we have pre-construction ones similar to this one, delivery in 6-8 months.